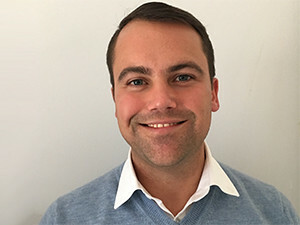 Businesses are starting to realise the significance of compliant and secure call recordings, says CallCabinet's Matthew Balcomb. Cloud call recording solutions provider CallCabinet has been appointed a Microsoft independent software vendor partner for its Atmos Skype for Business solution. CallCabinet provides call recording solutions that integrate into Skype for Business, Lync and Office 365. Matthew Balcomb, CEO of CallCabinet, says the appointment means customers of Skype for Business can be assured of a compliant call recording solution that integrates into their environment and enables them to leverage the Microsoft cloud environment. CallCabinet also gains the benefits of Microsoft partner incentives, Microsoft payment solutions, Microsoft LicenseWise for volume licensing and technical pre-sales assistance. "What this means for both of us is additional revenue opportunities as well as the ability to offer customers an extension to a growing Microsoft ecosystem. "Being appointed is not just an endorsement of what we have done with Microsoft's technology and our integration with it, but is also an opportunity for us to gain more customers and grow our business through a strong partnership with the vendor." CallCabinet customers can now leverage CallCabinet and Microsoft cloud to ensure recorded calls are compliant, as well as individually secured and encrypted at source, says Balcomb. "Compliant call recording is not just about keeping track of staff performance; it goes far beyond that. It can assist you in dispute resolution and prevent reputational and brand damage, and as such, is vital to your business's safety." In SA, especially with changes in local legislation, businesses are starting to realise the significance of compliant and secure call recordings, as well as the importance of practices such as agent evaluation, says Balcomb. "We've seen massive success with our Atmos Skype for Business product thus far, proving local companies are beginning to understand not only how important call recording is but also that ensuring call recording complies with stated country-specific regulations is equally as important." This appointment is an opportunity for CallCabinet to enable businesses that are in the process of going digital, notes Balcomb.